Last year, alternative rock band Weezer released a cover of Toto’s notorious hit song, “Africa.” On Jan. 24, the group released a full-length album consisting entirely of cover songs. 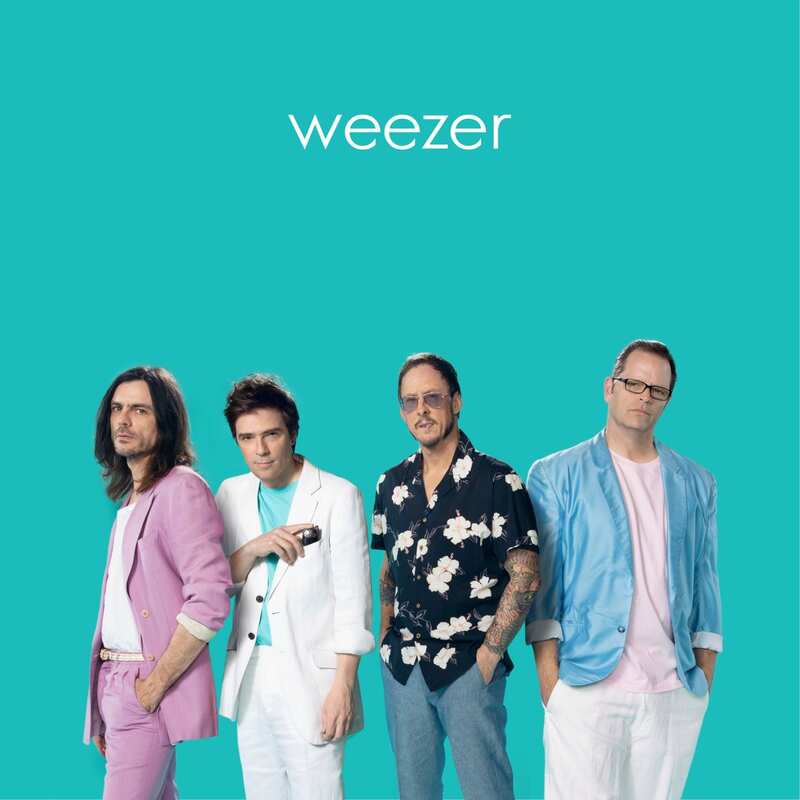 The collection, self-titled, but also referred to as the Teal Album, is Weezer’s 12th studio release, coming a few months before their previously announced album release, which has been set for March 2019. Some listeners may be quick to dismiss the Teal Album solely because it does not present any distinctly new material. However, Weezer does take a variety of popular songs from different genres and inevitably rework them to fit the band’s unique sound. Tracks range from TLC’s “No Scrubs” to “Everybody Wants to Rule the World” by Tears for Fears. In fact, “Weezer is on track to notch its ninth top 10 album on the Billboard 200 chart, according to industry forecasters, with the rock band’s latest self-titled release, also known as the Teal Album,” as stated in a recent article by Billboard. This anticipated success could be largely due to the fact that many of the Teal Album’s featured songs were big hits themselves. At the same time, however, the unannounced nature of the album leads to a deeper discussion about Weezer’s current place as a band, as the group’s original debut took place more than 20 years ago. Considering this, it is certain that there are a wide range of older Weezer fans willing to listen to ’80s hits, such as Michael Jackson’s “Billie Jean,” with eager nostalgia. The band also has a younger following who are looking for the same thing and may not even know it. Weezer received a significant amount of criticism for its last project, “Pacific Daydream.” Although the record still did well, the album greatly detracted from some of the band’s earlier releases. Teal is a continuation of this, and the album can be seen as a grand way to bring about a discussion of the band as the date of their next release draws closer. It is clear that Weezer has established itself as a constant in the alternative rock space over time, generating a dedicated fan base. The Teal Album is a testament to how far the band can go with the ability to garner support. Weezer, however, still has the creativity to release its own music, and hopefully their impending release, The Black Album, will do just that.